A prominent theologian, educator and reformer in the first half of the 19th Century, Lyman Beecher was born on Oct. 12, 1775, in New Haven, Connecticut. He graduated from Yale College in 1797 and then studied theology under Yale President Timothy Dwight, IV. After preaching on probabtion for a year at East Hampton, Long Island, Presbyterian Church, Beecher was ordained at that church in 1799. He served as minister from 1799 to 1810. In 1810, he accepted a position as minister in Litchfield, Connecticut, where he served until 1826. He became well known for his fiery sermons against intemperance and slavery. In 1826, he resigned his position in Litchfield and accepted a new one at Hanover Street (Congregational) Church, Boston, Massachusetts. By this point, his reputation had spread across the United States. In 1832, he moved his family to Cincinnati, where he accepted a position as president of Lane Theological Seminary, and served as pastor for the Second Presbyterian Church from 1832 to 1842. At LaneTheological, Beecher worked to educate future ministers. He wanted them to spread across the American West and save people from their sinful ways. Beecher's years at Lane Theological Seminary were filled with controversy, including the issue of slavery. The school's board of directors tried to prohibit students from supporting abolitionism in 1834. Beecher also had disagreements with other Presbyterian ministers over his religious beliefs. In 1835, he was charged with heresy, but was acquitted at both the Presbytery and Synod level. Part of the dispute involved the same New Side/Old Side debates that split the Presbyterian Church in 1837 - 1839. 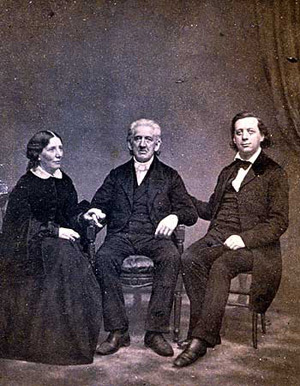 Beecher resigned his position at Lane Theological Seminary in 1850.In 1851, he moved to Boston until 1856, when he moved in with his son, Henry Ward Beecher, and Henry's family in Brooklyn, New York. 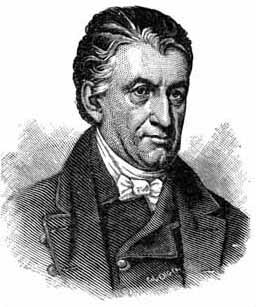 While in Boston, he published several books dureing 1852 and 1853. Henry Ward Beecher was a famous Presbyterian and later Congregational minister and used his pulpit to urge Northerners to protest slavery and to avoid alcohol. Lyman's daughter, Harriet Beecher Stowe wrote Uncle Tom's Cabin (1852), America's first million-seller book. The book inspired many people to stand up against slavery. Lyman Beecher died on Jan. 10, 1863. © 2007. Presbyterian Heritage Center at Montreat.